The industrial hygiene professionals at Clark Seif Clark identify respirable exposure risks to help protect workers and the general public. If the smoke from a wood fire in a business or home is not properly exhausted, combustion byproducts such as gases and microscopic particles can accumulate and expose the eyes and respiratory system and can result in a variety of negative short-term and long-term health effects. During the cold winter months, many people burn wood in their homes for heat and ambience. While this can provide for an economical way to heat a home, some people could be exposed to wood smoke in the air they breathe. 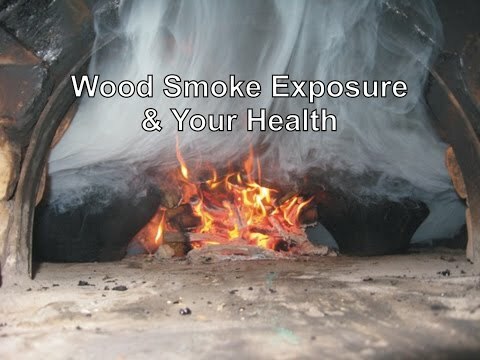 Workers in some occupations may also be exposed to wood smoke on a daily basis. The smell of burning wood is pleasant to some people, but even though wood is a natural substance, exposure to wood smoke can cause concerns. The U.S. Environmental Protection Agency (EPA) reports the smoke from burning wood contains a complex mixture of gases and fine particles (also called particle pollution, particulate matter or PM). In addition to particle pollution, wood smoke contains several harmful air pollutants, including: benzene, formaldehyde, acrolein and polycyclic aromatic hydrocarbons (PAHs). Carbon monoxide is also produced during the burning of wood. Short-term exposures to particles from wood smoke can aggravate lung disease, causing asthma attacks and acute bronchitis, and may also increase susceptibility to respiratory infections. Long-term exposures have been associated with problems such as reduced lung function and the development of chronic bronchitis, and even premature death. Some studies also suggest that long-term PM 2.5 exposures may be linked to cancer and to harmful developmental and reproductive effects, such as infant mortality and low birth weight. To learn more about this or other occupational, environmental, indoor air quality, health and safety testing services, please visit www.csceng.com, email csc@csceng.com or call (800) 807-1118.